This game puts you directly into the action, as the world's most powerful Super Heroes and Super Villans wage an epic struggle for supremacy. 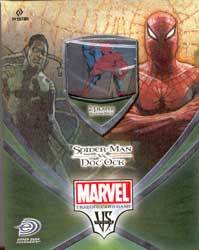 Join the amazing Spider-Man and his allies as they battle Doc Ock and the Sinister Syndicate. This pack includes everythign that two players need to get started!